How cute are these babies? But who are they?? 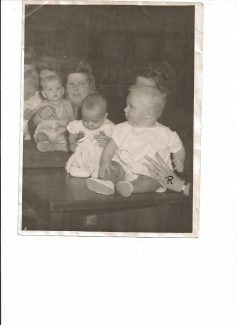 Twin babies - do you know them? Here are some really cute baby photos that were given to the site. Do you know any of them? 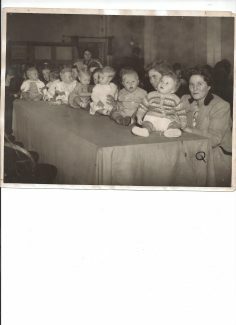 John Smith has given us some information about the first picture The lady up the table close to us is his aunt Winifred Foster holding her son Ivor. John also has a copy of this picture handed down to him. He understands it might have been taken in the Toot or at the Tilbury Riversde station about 1950-1951, when his aunt lived in Moore Avenue. He is not quite sure of the location. 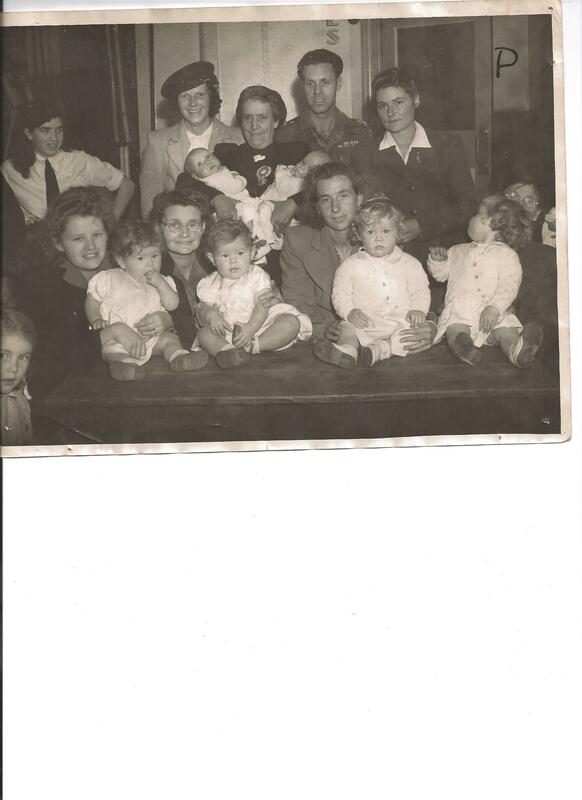 I have shown the photo of the twins to Tommy Webster one of the babes in arms he confirms it is his mum and dad behind him, but doesn’t know who the lady is holding him, said it could be his nan. The baby show was held in the Railway Club in 1948 there were over one hundred baby’s entered, the twins in the photo at the back in the ladies arms are George and Tommy Webster’ The two sets of girl twins at the front are Linda and Jessie Williams’ and Sheila and Sandra Henry, but I don’t know which is which. The lady sitting next to John’s aunt is Christine Joyce Webb, and she is my aunt, holding her son John. I believe she lived in Feenan Highway at the time of this competition which I do believe was in the Tilbury Dockers Club, or [Toot]. It might have beem organised by the Buffs or Buffaloes as they were calle. The year was probably 1948 as he looks only one here, and John Smith might be slightly wrong with the year – sorry John.